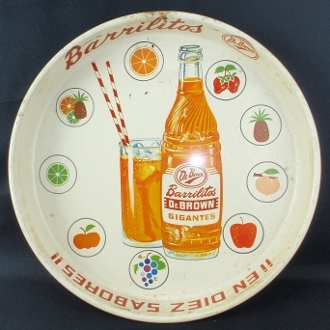 Vintage Dr Brown Barrilitos Metal Soda Cola Tray. Text along the inside border states “Barrilitos En Diez Sabores” 13" x 1.75". Tray has scratches and rust throughout whole tray. There is an added mounting hole in top of tray. Tray displays nicely.